Mrs. 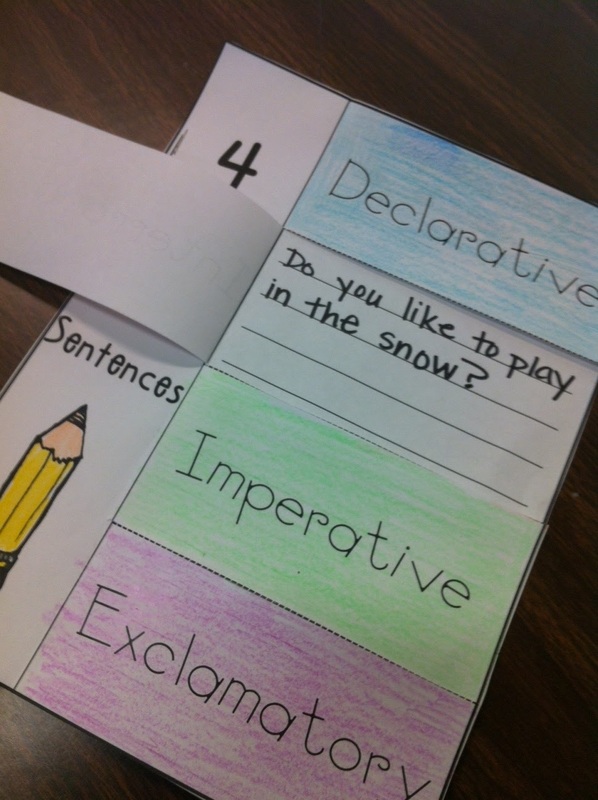 Prince and Co.: 4 Types of Sentences flip book...and snow! we wrote our 4 sentences about snow! 4 Types of Sentences flip book! students put the flip book together. the other for the example! together a unit all about regrouping! so I'm hoping to get that set up this week...fingers crossed! you all so check back in soon!!! There was not any snow up at our school. I teach up in Leavenworth, but live by the Legends. My kids have been crazy because of the holiday break coming up. What reading and math series do you use in your school district? Just stumbled across your blog. 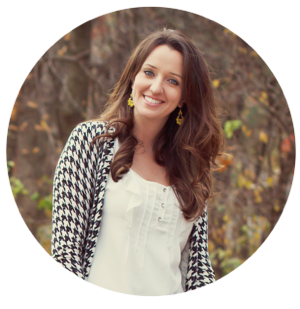 Always looking for another 2nd grade teacher blog! Newest follower! Another great activity, Leanne. You never cease to amaze me. Love this! Thank you. I'm your newest follower thanks to Pinterest! I'd like to download your booklet, but I don't know how to from Google Drive. It's new to me. Can you help? The booklet looks great! Found it on Pinterest. I wasn't able to download the booklet either. It redirected me to Google Drive. However, I was able to download some of your other printables. Weird! Thank you so much for sharing! Can't wait to use this. Thank you found this on pinterest, and downloaded it! :) Thanks for sharing! If you look again, the question is underneath the interrogative flap, which is correct. Love this printable! Thanks so much...printing it out right now. My students love flip books! Thanks for sharing! Do you know the name of the font you used? My computer won't print it properly so I'd like to find the font. Thanks! What a fantastic idea. My students always want to hold onto the books that we make. Thanks so much for this! 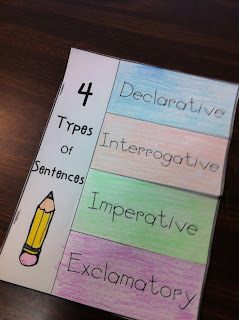 I am a homeschooling mom and we are covering the 4 types of sentences this week -- adding your printable to our notebook! 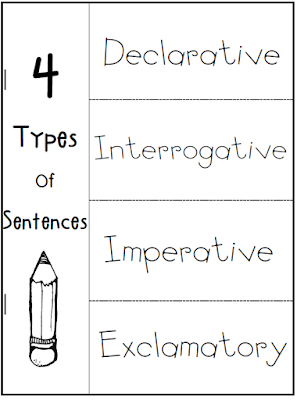 Good article on the topic Types of Sentences. Full credits to the author of this website and the post in specific.